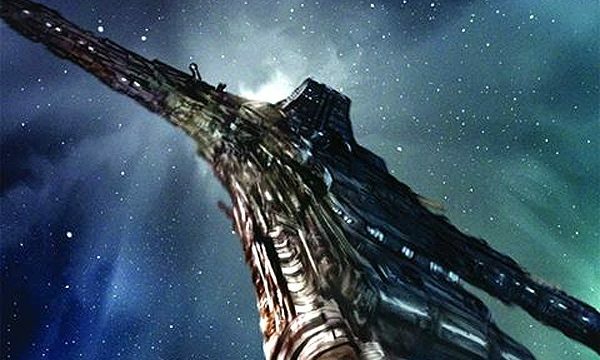 As American Mythology’s line of Stargate Universe comics wraps up its inaugural storyline, fans can pick up the complete, 6-issue run bound together in a new trade paperback. 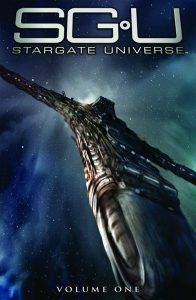 Stargate Universe: Back to Destiny (Volume 1) is set for an October 9 release, and is available now for pre-order. 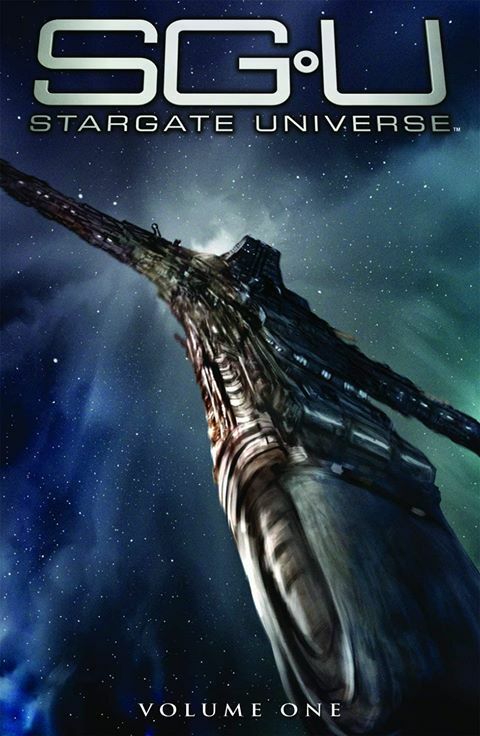 At 144 pages, the book collects Issues #1 through 6 in the new SGU series. That’s the complete “Back to Destiny” storyline, authored by Mark L. Haynes and J. C. Vaughn and published between June 2017 and this fall. 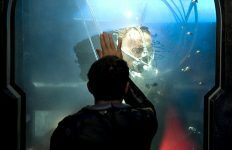 The story picks up following the events of “Gauntlet,” the final episode of the television series, which saw the entire crew of Destiny — save one Eli Wallace — entering stasis chambers to sleep through the ship’s long journey between galaxies. In “Back to Destiny” Colonel Young and his people are awakened to learn that they are not the only ones on board the ship, launched by the Ancients hundreds of thousands of years ago. A crew of the Ancients themselves have also been in stasis in an unexplored part of the ship, and now have awakened to complete their mission. 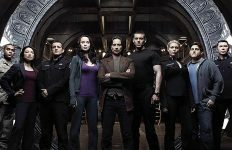 Stargate Universe begins right where Season Two of the acclaimed science fiction TV series ended, with the crew and unwilling passengers of Destiny set to cross a vast expanse of space with no margin for error. With almost all of the willing and unwilling crew of the ancient starship Destiny in suspended animation, only Eli Wallace is left awake to repair his own stasis pod before time runs out. While he races against time, a new and unexpected danger threatens the fragile plan designed to keep everyone alive and away from the aliens who had been pursuing them. 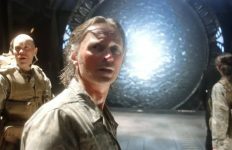 What is the next chapter in the Stargate Universe saga? Find out right here! Come with us and join the fight to get #BackToDestiny! 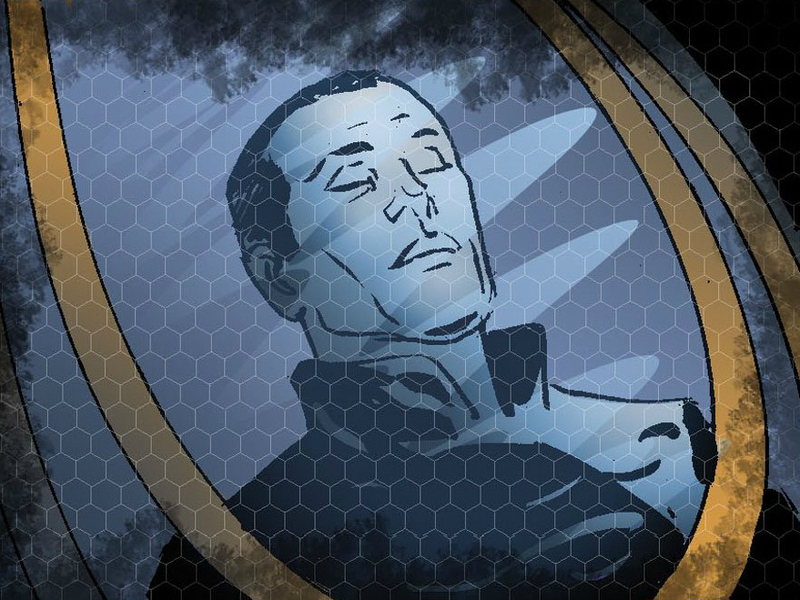 Matthew Scott sleeps in an stasis pod in “Back to Destiny” Issue #1. The “Back to Destiny” storyline concludes with Issue #6, arriving in comic stores and digital comic subscriptions in September. The trade paperback will sell for $19.99. Pick it up at Amazon! 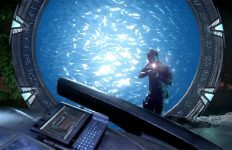 While the publisher has not yet announced plans for what’s next in the SGU line, you can bet that we will bring you the latest news as soon as we have it. Meanwhile check out GateWorld’s full Comics section for the complete collection of Stargate comics. Thanks to Marci for the tip!